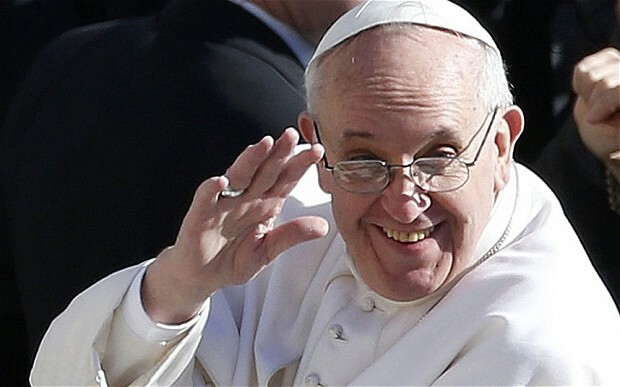 It has been amazing for me to watch and listen to influential leaders of the Christian Right vilify Pope Francis for “being liberal” and “surrendering in the culture war.” I find it amazing because for the past 30 years I have been watching the culture warriors fight this war. I had deep ambivalence that speech back then and I was a conservative Republican and moderately conservative Christian. I had already seen how vicious the politically driven Christian conservatism was when I attended Southwestern Baptist Theological Seminary during the early part of the Fundamentalist takeover of that school. When I was ordained as a Priest in a more conservative Episcopal denomination back in 1996 I became part of a denomination at the time that had fully embraced the ideas of the culture war. When we went to clergy conferences our textbooks were those of Buchanan, Robert Bork, and Thomas Sowell as well as many others which espoused the necessity and rightness of the religious and culture war. Leadership indoctrinated us in this. However as a military chaplain I had deep qualms about what was going on in this because I was already seeing the practical effects this was having on those who I served. I remember talking to some of the other chaplains in the denomination, a number who had similar concerns. So for many years I operated in the nether world of representing a denomination which by the day was growing more deeply aligned with the culture warriors. 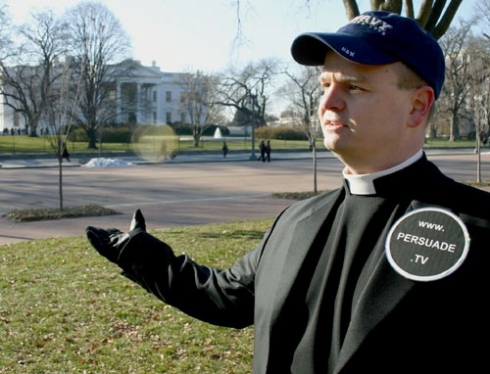 It began to come to a head in 2006 when Gordon Klingenschmitt, a Navy Chaplain on active duty began a campaign which ended caused a great uproar among religious conservatives and caused chaplains from many conservative denominations great grief as people in our churches looked to Klingenschmitt as a some kind of hero. In fact he was not. 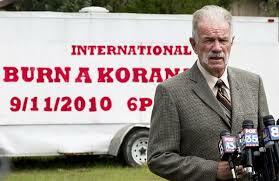 He was and is a pathological liar who has been on a Jihad since even before he entered the Navy as a Chaplain in 2003. I saw the unbridled vicious and unethical behavior exhibited by Klingenschmitt and his allies in the extreme Christian right and the right wing political hacks and pundits who use the Christian faith and unwitting but sincere Christians to advance an agenda which is neither Christian nor faithful to the vision of our founding fathers. So now when I see the same right wing political hacks, pundits, preachers and politicians who have been stoking this Christian version of Jihad against a plethora of enemies, Moslems, Gays, women, Liberals, progressives in fact anyone that they want to label as different then them or “enemies” of God or “America” I get my hackles up. 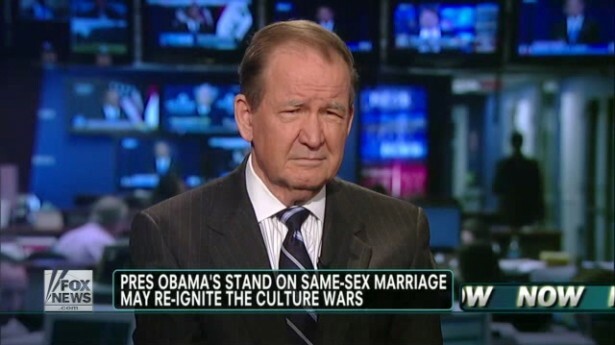 When I heard Pat Buchanan and Sarah Palin condemning Pope Francis for his alleged liberalism I realized that no Christian leader was safe from their foolish and shortsighted agenda. Pope Francis has chosen the way of Jesus, he is embracing people that conservative Christians have not only marginalized, but have persecuted for years and are still attempting to do so in the United States and elsewhere. There are times that I fear for the life of Pope Francis because there are people who believe so strongly that they would kill him if they believed that God wanted them to, and when people like Buchanan accuse Francis of surrendering in the culture war they help justify people wo will kill in the name of God. What seems to me that most of these people lack is a real sense of historical context, not only of the importance that the founders of the United States placed on the freedom of religion and freedom from religion as well as the history of other countries. Niemöller was a war hero. He had served on U-Boats during the First World War and commanded a U-Boat in 1918 sinking a number of ships. 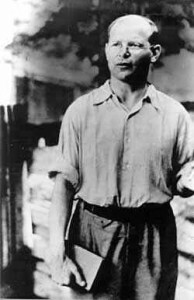 After the war he resigned his commission in the Navy in opposition to the Weimar Republic and briefly was a commander in a local Freikorps unit. His book Vom U-Boot zur Kanzel (From U-boat to Pulpit) traced his journey from the Navy to the pastorate. He became a Pastor and as a Christian opposed what he believed to be the evils of Godless Communism and Socialism. 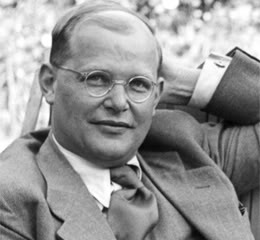 This placed him in the very conservative camp in the years of the Weimar Republic and he rose in the ranks of the United Evangelical Church of the Old Prussian Union. Active in conservative politics, Niemöller initially support the appointment of Adolf Hitler as Chancellor. 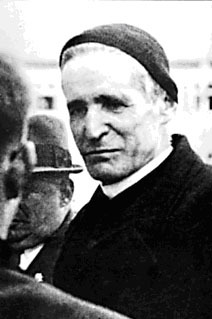 Bishop Galen of Münster and others including Father Rupert Meyer in Munich who opposed Hitler in the early 1920s would also oppose the Nazi policies toward the Church and the Jews. They would also end up in concentrations camps with some dying at the hands of the Nazis. All these men took risks to defend the Jews who were religious minority group that had been traditionally discriminated against inGermany. 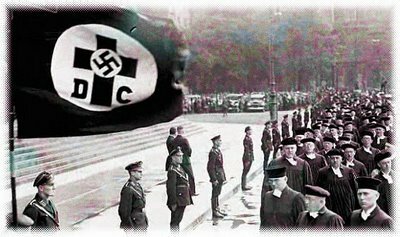 They opposed the Nazi policies which were widely supported by much of the German populace making them unpopular in their own churches as among the traditionally conservative supporters of the Evangelical and Catholic Churches. The Jews were not simply discriminated against as a racial or religious group but also identified with the political left, especially the Social Democrats, Independent Socialists, Communists and the Spartacists. Since the Independent Socialists, Communists and Spartacists were all involved in attempts to create a Soviet state during the early tumultuous years of Weimar and been involved in many acts of violence against traditional German institutions and the state, they were viewed by Hitler and others as part of the Bolshevik-Jewish threat toGermany. Karl Liebnicht and Rosa Luxembourg were among the high profile leaders of this movement in Germany and both were Jewish. The fact that many in the leadership of the Bolshevik movement in theSoviet Union were Jewish added fuel to the fire that the Nazis stoked inGermany. Hitler and the Nazis played on the historic, but muted prejudice against German Jews who in many cases were more secular and German than religious and had assimilated well inGermany. Hitler’s rhetoric as well as that of other Nazis and Nazi publications helped identify the Jews as part of the “Stab in the back” myth that was commonly used by the German right to explain the defeat in the First World War. Thus they were painted as a political and social threat to Germany. When Hitler took power persecution of the Jews began in earnest. Jews were along with Communists, Trade Unions and Socialists enemies of the state. They were banned from the military, civil service and other government employment, professional associations and forced to wear a gold Star of David on their clothing. Their property was seized, many were abused by SA men acting as deputized auxiliary police and many times their businesses, Synagogues and homes were vandalized, burned or seized by the state. Many would be forced to flee in order not to be sent to ghettos and concentration camps. Even those leaving only escaped with the minimum of their possessions as the Nazi regime extorted anything of value from them as they leftGermany. This was all done because Hitler and those like him portrayed the Jews as not only an inferior race, but enemies of the state and the German people. Today we face a similar movement in conservative circles in the United States. This time it is not the Jews but Moslems, Homosexuals, and “Liberals” who are the targets of the xenophobic and ideological rage vocalized by many influential members of the “conservative” media including Rush Limbaugh, Sean Hannity and numerous others. Their support for “Christian morale values” such as being against abortion has ingratiated them with conservative Christians. It is so bad that that many “conservative” Christians cannot differentiate between their vitriolic and un-Christian rage against Moslems, Gays and Lesbians, trade unionists, Democrats or anyone else portrayed by the big media talkers and the Gospel. It is if they have become an appendage to Republican or “conservative” politicians rather than a Christian church. It is not uncommon to see Christians on the web or on the call in talk radio programs identify lock stock and barrel with Limbaugh and others identifying the crass materialism and social Darwinism of “pure” Capitalism and the anti-Christian policy of pre-emptive war. That may seem harsh, but many of these people in the “Conservative Bible Project” seek to re-translate the Bible into their own political, social and economic policies even seeking to change or minimize any Scripture that might be equated with the “Social Gospel.” Unfortunately many Christians and others have jumped in on the anti-Moslem and anti-immigrant crusades launched by those on the far right. Similar threats are made against non-European immigrants especially those from Mexico or Latin America. I have a friend; a Navy Officer who served a year in Iraq that was confronted by a member of the “Minutemen” in Texas to show his Green Card and threatened simply because he is Mexican. Others especially conservative Christians suggest criminalizing homosexuality, jailing homosexuals and even deporting them. Some Christian political action groups are going overseas to Russia and Africa to help enact laws against homosexuals and recently the same people have been hosted by members of Congress to promote their ideology. These actions and proposed laws are so similar to the Nuremberg Laws and the Aryan Paragraph issued by the Nazis that it is scary. Likewise the threats to American Moslems of placing them “behind razor wire” as we did to American Japanese citizens in World War II are chilling. I wonder how Christians would react if an atheist or someone on the political left suggested all conservative Christians or members of pro-Life groups be imprisoned for the actions of Christians or pro-Life movement members like Scott Roeder or Eric Rudolph who killed to stop abortion or Fred Phelps and his Westboro Baptist Church? What the good people who suggesting these “collective guilt” actions against American Moslems do is dangerous, not just for Moslems and other minorities but ultimately for them. American and English law is based on legal precedence. Once something has been determined to be legal, or constitutional it is considered by the law to be settled law. This is a point made by Chief Justice Roberts regarding Roe v. Wade at his confirmation hearings. If Christians want to use the law against Moslems or for that matter any other minority be it religious or political they tread on very dangerous ground. Not only do they make a mockery of the Gospel command to love our neighbors, care for the foreigners among us and to be a witness to non-Christians support policies or laws that if enacted could and very well would be used against them by their opponents. It is easy for well meaning people Niemöller to be bought with promises of support by politicians and media types who speak the words they want to hear in difficult times. So today I suggest the formation of an ecumenical Pastor’s Emergency League which will not be bought by the empty and godless promises of hate mongers on the right or the left. Such a group of men and women spanning the breadth of the Christian tradition and others that see the danger of extremism of all types is becoming necessary. Such a step is becoming necessary due to the militancy of the Christian right as well as the militancy of atheist groups who lobby against all public religious expression by any religion. Such a League would respect the various creeds and statements of faith of each member’s denomination. The movement of the right has set a dangerous course fraught with perils that they do not comprehend. Just allow those that they believe are oppressing or persecuting them now to be empowered with the precedent of laws discriminating against specific religious groups against the Christians that supported them in the first place. It will be a bitter poison indeed when that happens to them later if American Moslems were to be targets by such laws. We have entered a dangerous phase of American history. These movements have the potential not only to oppress law-abiding and patriotic American Moslems, Gays, Secularists and others and to crush the religious freedoms of all in this county. Suggesting that American citizens, including those who serve the county in the military or government of entire religious, ethnic, political or religious affiliation, sexual preference be jailed, banned from office or fired is totalitarian and dare I say Nazi like. Christian culture warriors have become so enamored with political power and using the state to enforce their beliefs. They have forgotten that the people are not converted by religious laws enforced by the police power of the state but on the love shown by God’s people to others. They have forgotten that the sword that they desire to use against those that they despise can easily be turned against them. Many German Christians found this out far too late. If Christians would only learn that lesson. Even in the spring of 1918 when German troops were winning spectacular victories on the Western Front revolts were occurring at home. As Germany’s allies collapsed around her, the Ottoman Empire, Bulgaria and finally the Astro-Hungarian Empire it was apparent to the High Command that an Armistice with the Allies was imperative. 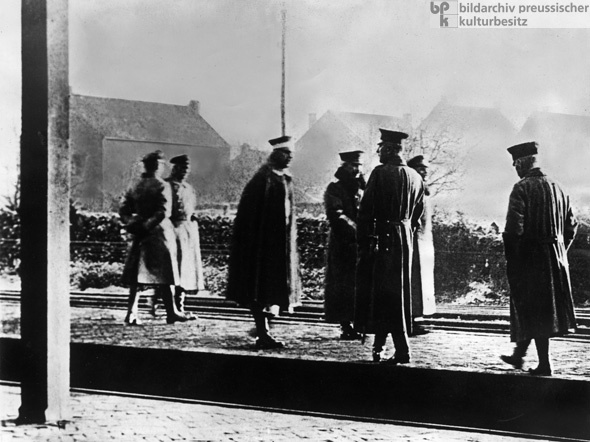 On October 29th the Kaiser left Berlin for the last time and arrived at the headquarters of the Army High Command in Spa, Belgium. In the next few days plans devoid of reality were suggested that the Kaiser should either lead the Army back to Germany to crush the revolts or die at the head of a regiment in battle. Then in early November the red flags of revolution were raised aboard the battleships of the High Seas Fleet in its bases of Kiel and Wilhemshaven. Soon workers, sailors and soldiers councils were “springing up everywhere to take over power.” (3) The authority of Naval Officers on their ships was gone, many were prisoners of their crews. “From the ports the torch of revolution was carried to western and southern Germany.” (4) Soon the royal dynasties that made up Imperial Germany were toppled one by one. In spite of this Wilhelm who had lived in a dream world throughout most of the war, shielded from the truth by advisors, military and civilian believed that the German people would rally to his cause. 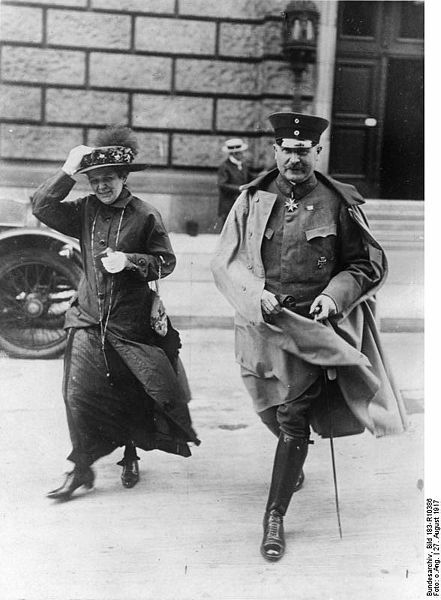 General Wilhelm Groener who had replaced General Erich Luddendorff as the First Quartermaster of the Army was now showing himself to be the “most clear headed and determined of the army’s leaders.” (5) After a brief visit to Berlin in the first week of November Groener became convinced that the Kaiser must abdicate if there was any hope of preserving the monarchy and transitioning to a constitutional monarchy an idea supported by the Majority Socialists and their leader Friedrich Ebert. Of course he was wrong. He had helped lead his nation and the world into a war that swept his monarchy and other great monarchies away. It was a war that ultimately led to another war of even greater destruction. It changed the world order which had existed from the time of Metternich and the Congress of Vienna. 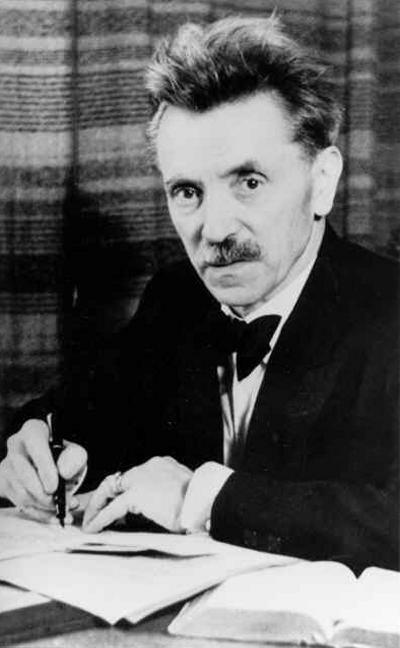 Groener was instrumental in preserving the unity of Germany and helped establish the Weimar Republic working with the leaders of the Majority Socialists. Unfortunately their efforts to establish a working republic were frustrated by the actions of the vengeful Allied powers, the terrible political polarization of the country and the effects of several economic crisis which doomed the Republic. 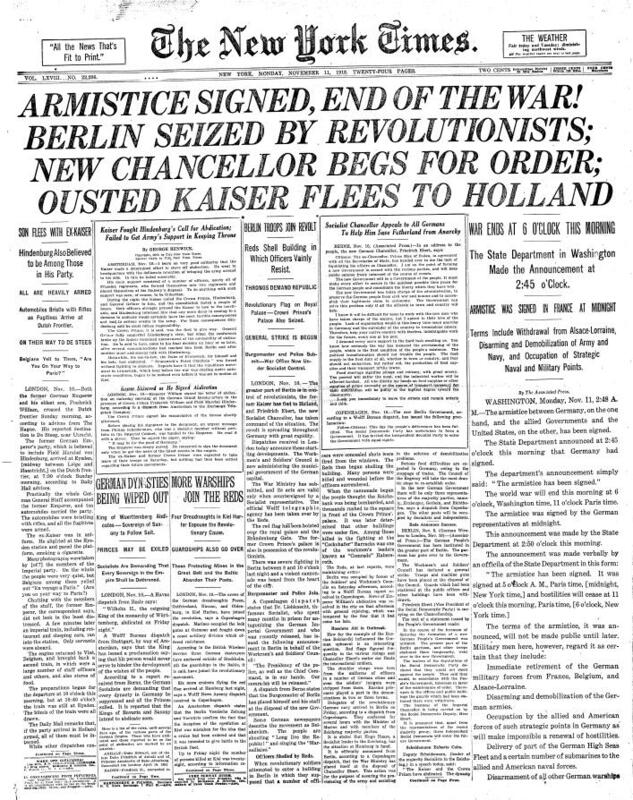 The abdication of Kaiser Wilhelm II was to many in Germany, especially the Officer class and nobility “the end of the world.” That being said had more leaders had the foresight and leadership of Groener and Ebert the republic might have survived. Had Ebert not died unexpectedly it is possible that the center might have held. But it was not to be. History has a strange way of playing itself out in the lives of individuals, nations and peoples. I wish that I was wrong bit as I look at the situation in Egypt today I see a situation which is as fluid as the shifting sands of the desert and as dangerous as the legendary Biblical plagues of the time of Moses. 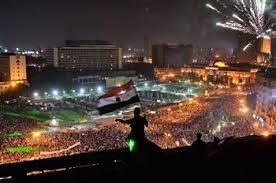 When the dictatorship of Hosni Mubarak was overthrow by the military in 2011 it was hoped by many that Egypt would defy he odds of history, not Islamic or Egyptian history, but human history in that a revolution of a people without their own history of freedom and representative democracy seldom in its initial stages produces freedom and representative democracy. In Europe alone Britain, France, Spain, Germany and Russia have endured bloody civil wars following the overthrow of autocratic regimes. Likewise the same is true of the history of South America, Africa, Asia and the Middle East the history of most successful oppressed peoples who do not have practical experience in democratic government tend to fight things out and even endure more oppressive governments before eventually, often at great cost to themselves and their neighbors achieve peaceful, stable and representative democratic rule. Egypt has great potential, many of its people have exactly in temperament, education and wisdom what is needed to become a leading democracy in the region. That being said there are many obstacles to this. First is the longstanding tension between the radical Islamists of the Moslem Brotherhood, secularist military leaders, Social Democrats and others. Second the underlying religious and social tensions between rival Islamic denominations as well as Coptic Christians with generations of internecine bloodshed being played against one another by outside powers, the Ottoman Turks, the French, the British and even to a lesser extent the Soviets and Americans. 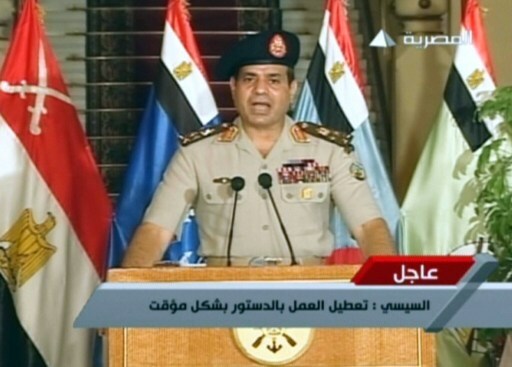 The fact is that Egypt as much as I do not want it to admit is that I believe that there is little that can save Egypt from a bloody civil war with unknown outcomes. The only thing that is sure is that thousands, possibly hundreds of thousands of Egyptians will die before the end of it and that Egypt’s instability will exponentially increase the violence and instability of the region. I think the best outcome is that a coalition of Social Democrats and militarists will cobble together enough of a government to stabilize the situation, but it will not be without much bloodshed. It will likely be like the early days of Weimar Germany when an unlikely coalition of military leaders and Social Democrats fought a Civil War against the extreme Soviet style Communists and then resisted Right wing extremist putsch attempts. Unfortunately that democracy died as the economies of the world melted down and the cost of reparations levied by Allied Powers at Versailles and radicals of the extreme Right and Left eventually leaving Hitler in power. It took another World War to eventually end that tyranny. I guess that a best prospect is pretty much as bad as the worst prospect. 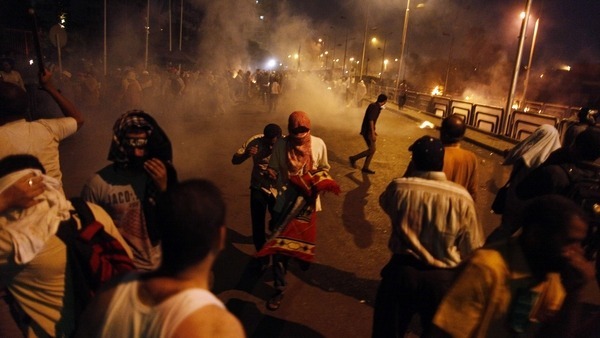 The ouster of the Moslem Brotherhood’s elected President Mohammed Morsi by the Egyptian military follow the protests of the vast majority of the Egyptian electorate is as much of a bad thing as it is a good thing. 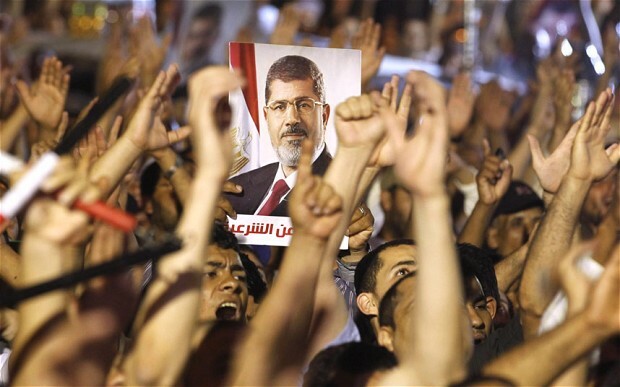 Morsi was to be sure democratically elected but he governed as an autocrat with increasing dictatorial tendencies. The reaction of the people and the Army was a natural reaction, as one Egyptian boy put it we did not overthrow a dictatorship to replace it with a dictatorial theocracy. 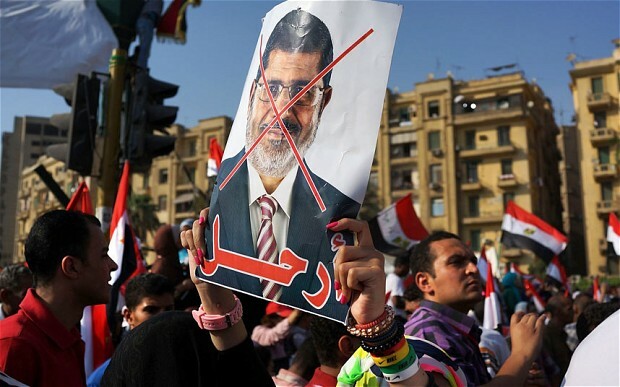 In effect both sides killed the democratic process, Morsi and the Moslem Brotherhood for the sake of Islamic religious power, the military for the sake of their place in society, stability and control and the protestors and democrats the sake of democracy and freedom. Summoning of the National Assembly in the course of December. Until then, or until the decision of the National Assembly can be carried out, conduct of the administration solely by the government and legitimate administrative organs. So as to fulfill the justified wishes of the working class… qualified people of working class origin should be attached to the administrative authorities in an advisory capacity…. The security service must be solely in the hands of the legal police organs and of the armed forces. 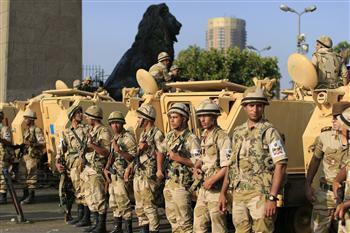 Safeguarding of the orders of government by a reliable police force and, after the restoration of discipline, by the army. The unfortunate thing is that no one will be happy until they achieve their goals and that will probably not only mean bloodshed, but a full scale civil war. No matter what the talking heads and experts say this has little chance of ending well. Centuries of injustice, dictatorship, colonialism, religious intolerance and economic inequities argue against other eventualities. 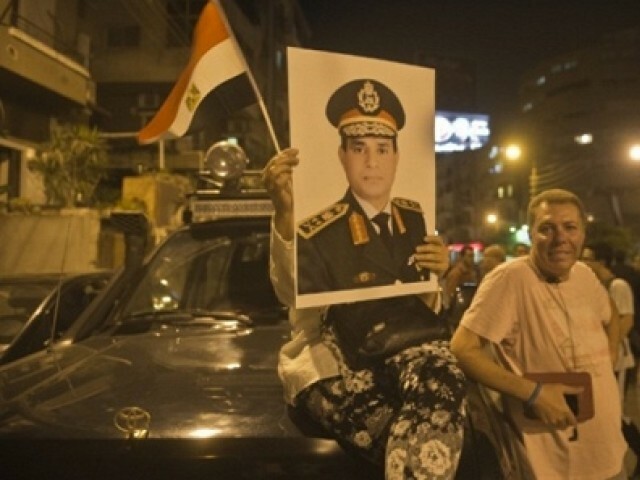 The fact of the matter is that whether or not advocates of democracy like it at the present time no elected government in Egypt can survive without the support of the military. 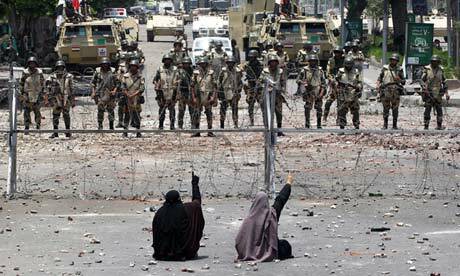 Like Weimar Germany, the fate of Egypt’s democracy will in large part lie in the hands of a military that at its heart is not democratic. It is a conundrum that we would rather not see, but it is reality. All that being said there is always hope that things can turn out differently and we had better hope, for the people of Egypt, the region and the world that it does, because an Egyptian Civil War now will be disastrous. “We reject the false doctrine, as though the Church were permitted to abandon the form of its message and order to its own pleasure or to changes in prevailing ideological and political convictions.”The Barmen Declaration Article Three. We are now in what the Liturgical year is called Ordinary time. It is a time of focus on the Christian life and our relationships with family, neighbors, other Christians and those that come across our paths, especially aliens, prisoners, the poor, the disenfranchised and those persecuted by the powerful regardless of their social class, race, citizenship or religious or political affiliation. In fact the term “Ordinary time” is often interpreted to mean less important than the rest of the liturgical year. However such an interpretation is dismissive of the importance of the season which lasts from Pentecost until the Sunday before Advent, Christ the King. In fact Ordinary time actually focuses on the “doing” aspects of the Christian life. Unfortunately for some it will be a time of misplaced activity, not activity centered on prayer, good works and giving voice to the least, the lost and the lonely even as we renew our faith in the Crucified One. Instead for many, especially in the preliminary stages of a Presidential election cycle the focus in not this at all but rather in transitory political, social and ideological agendas advanced by people with no other goal than seeing the triumph of their ideology which often has little to do with the Gospel. Ideologues love times of crisis and turmoil because they are able to turn them to their advantage and co-opt people of faith by appearing to be their worldly saviors from their “ungodly” opponents. Even the most faithful Christians can be lured in and deceived by such “saviors.” Martin Niemöller a leader in the German Evangelical church noted how he was taken in by Hitler. Like Niemöller well meaning Christians have been seduced into the false promises of ideologues of various persuasions that have no real interest in the Gospel but political or economic power be they conservative or liberal, capitalist or socialist. In fact one of the most heinous genocides of the late 20th Century was carried out by the good Christians of Rwanda’s Hutu and Tutsi tribes days after they worshiped together to celebrate Easter. In many cases church leaders were complicit in mass murder. The seductiveness of these ideologies appeals to the passion and emotion of people stoking the fires of fear with the fuel of hatred. This is often true regardless of people’s political or religious persuasions when become enamored with ideology and reinterpret life, faith and relationships to fit the ideology. When this happens to Christians this can lead to twisting Scripture and Tradition to fit the ideology much as did the theologians, pastors and lay people in German churches in the late 1920s and 1930s. When two powerful ideologies collide as did Communism and National Socialism in Germany, Socialism and Gaullism is France or contemporary Liberalism and Conservatism in the United States the conflict often spills out and over into Churches and other religious institutions. Well meaning people sublimate their faith beneath the ideology and political ethos that they most agree with and ideology overrides faith. As fear and hatred is stoked the leaders of religious institutions and individuals within them conform their faith not to Christ crucified but to ideologies which are antithetical to the Gospel. It really does not matter if the ideology is “liberal” or “conservative” because ultimately these poisonous ideologies now defended by pastors and theologians and “baptized” with Scripture are often set against the Gospel and seek to use the Church, Christians and others simply as pawns to sacrifice in their quest for total unadulterated political, social or economic power. In our contemporary American culture the loudest and most prominent voices are the political ideologues of the right and the left who inhabit talk radio and the various cable television news networks. Far too often well meaning Christians and others assume everything being spoken from lips of pundits, politicians and politically compromised preachers, the unholy Trinity is compatible with the faith. However just because Rush Limbaugh, Sean Hannity, Glenn Beck, Michael Savage, Keith Olberman, Chris Matthews or any other commentator on the airwaves claims that they are speaking for Christians does not mean that they are even when we agree with them. Likewise political party leaders and Presidential candidates who echo our passions and feed our fears about the other party does not mean that what they say is Christian or compatible with the Christian faith even and especially when those individuals claim the mantle of being a “Christian” leader. The adoption and blessing of the often perverted theological ideas of media personalities, talking heads and politicians by individual Christians, Church leaders and denominations can only result in their enslavement by the individuals and organizations to which they give their blessing. The ideologues will readily support social or policy goals of the religious groups but only to gain their vote and those that think otherwise are sincerely deluded. This is proven by history and experience. One only has to look at how German Christians of various traditions were seduced by the promises of Hitler and the Nazis. 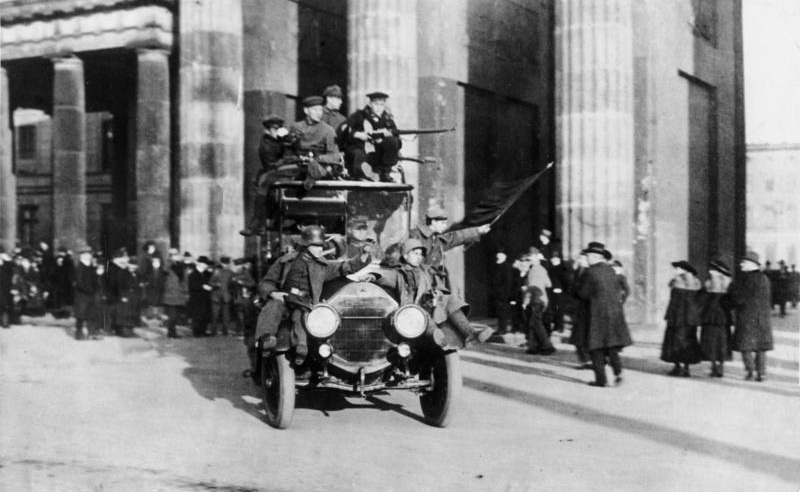 Germans had from November 1918 seen their society ripped apart by military defeat, economic humiliation, internal revolution and societal change which threatened the values that they held dear. In reaction to Nazi promises many sold themselves and their country to the devil. This type of thing has happened in other countries but is most glaringly seen in the transition from the WeimarRepublicto the Nazi era. “[Ideology] comes about as [one] thinks he can and should ascribe to the presuppositions and sketches he has achieved by his remarkable ability, not just a provisional and transitory but a permanent normativity, not just one that is relative but one that is absolute, not just one that is human but one that is quasi-divine. His hypotheses become for him theses behind which he no longer ventures to go back with seeking, questioning, and researching. He thinks that they can be thought and formulated definitively as thoughts that are not merely useful but instrinsically true and therefore binding. His ideal becomes an idol. He thinks that he knows only unshakable principles and among them a basic principle in relation to which he must coordinate and develop them as a whole, combining them all, and with them his perceptions and concepts, into a system, making of his ideas an ideology. Here again the reins slip out of his hands. This creature of his, the ideology, seems to be so wonderfully glorious and exerts on him such a fascination that he thinks he should move and think and act more and more within its framework and under its direction, since salvation can be achieved only through the works of its law. This ideology becomes the object of his reflection, the backbone and norm of his disposition, the guiding star of his action. All his calculations, exertions, and efforts are now predestined by it. They roll towards its further confirmation and triumph like balls on a steep slope. Man’s whole loyalty is loyalty to the line demanded by it. He thinks that he possesses it, but in truth it already possesses him. In relation to it he is no longer the free man who thought he had found it in its glory and should help to put it on the throne. He now ventures to ask and answer only within its schema. He must now orient himself to it. He must represent it as its more or less authentic witness and go to work as its great or small priest and prophet. At root he no longer has anything of his own to say. He can only mouth the piece dictated to him as intelligibly as he can, and perhaps like a mere parrot. His own face threatens already to disappear behind the mask that he must wear as its representative. He already measures and evaluates others only from the standpoint of whether they are supporters of this ideology, or whether they might become such, or whether they might at least be useful to it even without their consent, or whether they must be fought as its enemies. Its glory has already become for him the solution not only to the personal problem of his own life but to each and all of the problems of the world.” ~ Karl Barth, The Christian Life: Church Dogmatics IV/4, Lecture Fragments, 225. 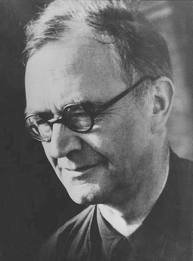 Barth saw good people surrender their faith to a hateful and destructive ideology. It is imperative during this season of Ordinary time that we should not take this danger lightly. This season is a time to acknowledge our need for the grace and mercy of God and find forgiveness for ourselves while extending the same grace, love and mercy shown to us to our neighbor, even the neighbor who does not agree with the ideologues that we prefer. Our challenge in a time of turmoil and conflict is not to be seduced by the shameless appeals of ideologues but to return to faith in the God who comes to us, suffers for and with us and in himself provides the promise of redemption and the forgiveness of sins. Unfortunately it seems that many of those leading the “Christian” parties of theUnited Stateshave forgotten that even those that proclaim their faith the loudest. 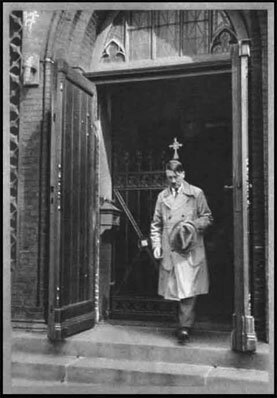 However, he quickly soured on Hitler due to his insistence on the state taking precedence over the Church. Niemöller was typical of many Germans of his era and harbored ant-Semitic sentiments that he only completely abandoned his anti-Semitic views until after he was imprisoned. He would spend 8 years as a prisoner of the Nazis a period hat he said changed him including his views about Jews, Communists and Socialists. 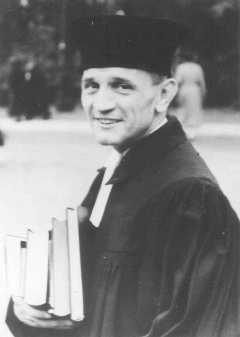 Niemöller was one of the founding members of the Pfarrernotbund (Pastor’s Emergency Federation) and later theConfessingChurch. He was tried and imprisoned in concentration camps due to his now outspoken criticism of the Hitler regime. Herman Maas was another Evangelical Pastor. 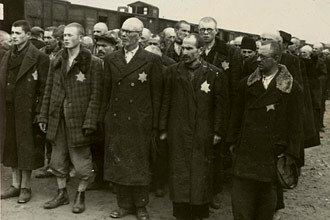 Unlike Niemöller, Maaswas a active participant in the ecumenical movement, built bridges to the Jewish community and defended the rights of Jews as German citizens. He received a fair amount of criticism for his attendance of Reichspräsident Friedrich Ebert’s funeral. Ebert was both a Socialist and avowed atheist. Maastoo was active in the Pfarrernotbund and the Confessing church, and unlike Niemöller maintained his opposition to anti-Semitism and the Nazi policies against the Jews. He would help draft the Barmen declaration. He too would be imprisoned and survive the war. Maaswas the first non-Jewish German to be officially invited to the newly formed state of Israelin 1950. In July 1964 Yad Vashem recognized the Maasas one of the Righteous Among the Nations. 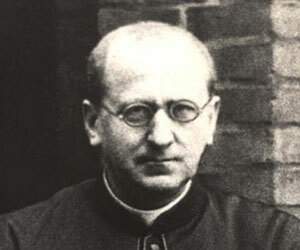 Bishop Galen of Münster and others including Father Rupert Meyer inMunichwho opposed Hitler in the early 1920s would also oppose the Nazi policies toward the Church and the Jews. They would also end up in concentrations camps with some dying at the hands of the Nazis. All these men took risks to defend the Jews who were religious minority group that had been traditionally discriminated against inGermany. 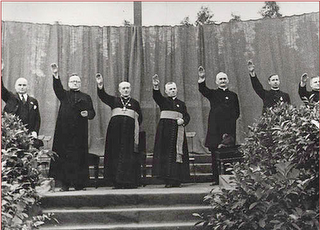 They opposed the Nazi policies which were widely supported by much of the German populace making them unpopular in their own churches as among the traditionally conservative supporters of the Evangelical and Catholic Churches. The Jews were not simply discriminated against as a racial or religious group but also identified with the political left, especially the Social Democrats, Independent Socialists, Communists and the Spartacists. 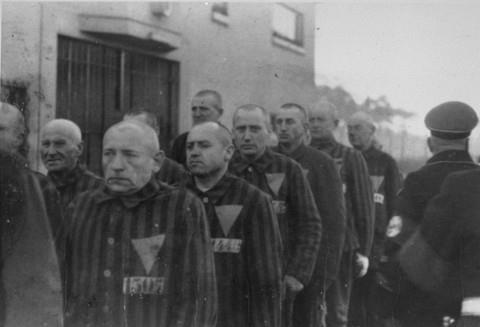 Since the Independent Socialists, Communists and Spartacists were all involved in attempts to create a Soviet state during the early tumultuous years ofWeimarand been involved in many acts of violence against traditional German institutions and the state, they were viewed by Hitler and others as part of the Bolshevik-Jewish threat toGermany. Karl Liebnicht and Rosa Luxembourg were among the high profile leaders of this movement inGermanyand both were Jewish. The fact that many in the leadership of the Bolshevik movement in theSoviet Unionwere Jewish added fuel to the fire that the Nazis stoked inGermany. 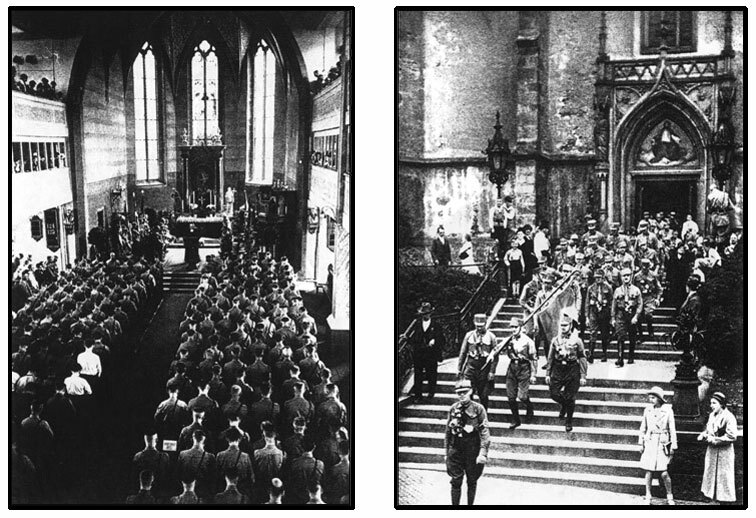 Hitler and the Nazis played on the historic, but muted prejudice against German Jews who in many cases were more secular and German than religious and had assimilated well inGermany. Hitler’s rhetoric as well as that of other Nazis and Nazi publications helped identify the Jews as part of the “Stab in the back” myth that was commonly used by the German right to explain the defeat in the First World War. Thus they were painted as a political and social threat to Germany. Today we face a similar movement in conservative circles in the United States. This time it is not the Jews but Moslems who are the targets of the xenophobic rage by many influential members of the “conservative” media including Rush Limbaugh, Sean Hannity and numerous others. 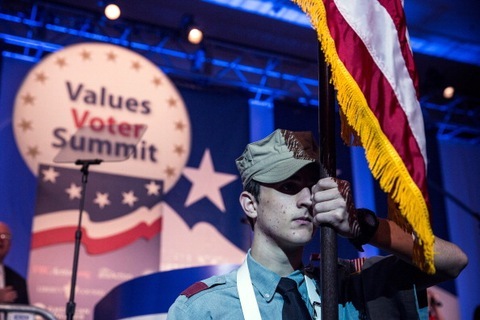 Their popularity in voicing support for “Christian morale values” such as being against abortion has ingratiated them with conservative Christians. It is so bad that that many “conservative” Christians cannot differentiate between their vitriolic and un-Christian rage against Moslems, Gays and Lesbians, trade unionists, Democrats or anyone else portrayed by the big media talkers and the Gospel. Similar threats are made against non-European immigrants especially those from Mexico or Latin America. I have a friend; a Navy Officer who served a year in Iraq that was confronted by a member of the “Minutemen” inTexasto show his Green Card and threatened simply because he is Mexican. Others especially conservative Christians suggest criminalizing homosexuality, jailing homosexuals and even deporting them. This is so similar to the Nuremberg Laws and the Aryan Paragraph issued by the Nazis that it is scary. Likewise the threats to American Moslems of placing them “behind razor wire” as we did to American Japanese citizens in World War II are chilling. I wonder how Christians would react if an atheist or someone on the political left suggested all conservative Christians or members of pro-Life groups be imprisoned for the actions of Christians or pro-Life movement members like Scott Roeder or Eric Rudolph who killed to stop abortion or Fred Phelps and his Westboro Baptist Church? It is easy for well meaning people Niemöller to be bought with promises of support by politicians and media types who speak the words they want to hear in difficult times. So today I suggest the formation of an ecumenical Pastor’s Emergency League which will not be bought by the empty and godless promises of hate mongers on the right or the left. Such a group of men and women spanning the breadth of the Christian tradition and others that see the danger of extremism of all types is becoming necessary. Such a step is becoming necessary due to the militancy of the Christian right as well as the militancy of atheist groups who lobby against all public religious expression by any religion. Such a League would respect the various creeds and statements of faith of each member’s denomination. The movement o the right has set a dangerous course fraught with perils that they do not comprehend. Just allow those that they believe are oppressing or persecuting them now to be empowered with the precedent of laws discriminating against specific religious groups against the Christians that supported them in the first place. It will be a bitter poison indeed when that happens to them later if American Moslems were to be targets by such laws. We have entered a dangerous phase of American history. These movements have the potential not only to oppress law-abiding and patriotic American Moslems and to crush the religious freedoms of all in this county. Suggesting that American citizens, including those who serve the county in the military or government of entire religious, ethnic, political or religious affiliation, sexual preference be jailed, banned from office or fired is totalitarian and dare I say Nazi like.